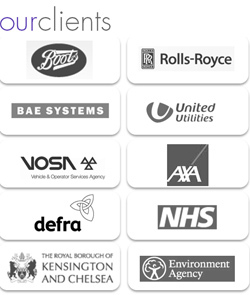 Cleardata is one of the largest document scanning bureaus in the UK. The company provides document scanning services, secure archive storage and online document management solutions for the construction, engineering and utility sectors. Cleardata offers a professional scanning bureau service. The company has invested in the latest scanning technology, including high quality large format scanners, capturing any size of document, such as large format plans, or architectural drawings. Cleardata is accredited to ISO27001 for information security and ISO9001/2008 for quality management systems. Cleardata provides 200% quality checking services for all scanned documents. Images can be output in any required digital format and scanned to disc or uploaded via secure ftp. Cleardata's 27,000 sq ft premises have secure document storage facilities for your construction, engineering and utility related documentation. The company provides a full library archive and scan on demand service, providing fast digital retrieval for your documents. Cleardata's document storage area has enhanced fire detection systems, is temperature controlled and fitted with a VESDA (Very Early Smoke Detection Alert) System. This system uses tubes above the racking which continually tests the air quality for carbon monoxide. If detected it sets of the alarm for the site. The building is controlled with Red Care Security and has 24 hour internal and external passive cctv, viewable from remote stations – any movement or intruders cause the alarm to go off. Access to Cleardata's building is gained via biometric finger print entry, all employees are Disclosure checked. Cleardata, provides confidential document disposal and document shredding services. The company owns an industrial shredder which can dispose of your documents securely. Cleardata can also arrange for your unwanted documents to be recycled or pulped, depending on the confidentiality of your documents. When scanned, documents can be found and retrieved quickly using a simple keyword search facility. 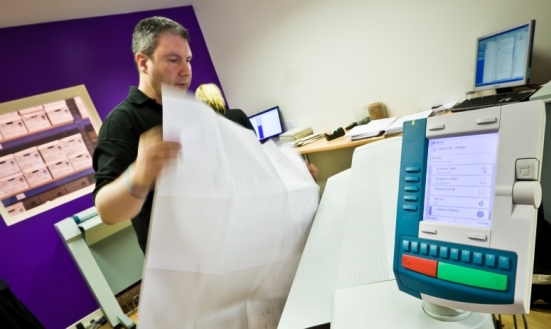 Our customers report that document scanning saves time and money in searching for particular records or documents. It also helps to reduce costs for valuable office space. One of Cleardata's clients reported fitting an additional 8 workstations into their office, once all their documents had been scanned, digitised and confidentially disposed of by Cleardata.